LSN’s Redefining Early Stage Investments (RESI) conference series is a unique one-of-a-kind partnering conference. RESI is a 100% dedicated investor and channel partner conference. 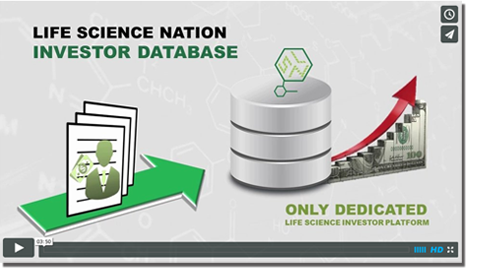 By leveraging LSN’s best-in-class Investor Database, RESI regularly delivers highly qualified global early stage life science investors with vetted investment mandates to a bevy of early stage CEOs seeking capital for the latest drugs, devices, diagnostics and digital health technologies (RESI is cross domain) that they are developing. The RESI conference series has created a unique format that runs every few months, allowing both the fundraising CEOs and the investors to incorporate RESI into their month-to-month business schedules as a vehicle to start and continue dialogues and relationships, making RESI very sticky. LSN employs a high-touch partnering system, allowing investors and companies to search for partners who are a fit for them based on multiple citeria, making RESI partnering meetings extremely compelling and efficient for both the buy-side and sell-side. RESI Innovation Challenge – LSN has developed an expert system that stack-ranks technology assets, assessing their ‘investibility’ based on multiple criteria across many areas. Those who apply, and are selected, are featured in the exhibit hall of our RESI conference and tend to get amazing exposure with the investors and partners that attend. As a matter of fact, more than 50% of the RESI Innovation Challenge winners have been funded! Partnering is key. RESI is a dedicated partnering conference and will have 1400 meeting in one day. What is the salient difference between RESI and other conferences when it comes to partnering? RESI does not do the tradition “pay to pitch” on the podium to an unknown audience. We have found that the audience winds up being a mix of potential partners, other CEOs looking for competitive info and service providers wanting to sell their services. At RESI, when you sign up in our partnering system, investor profiles are highly detailed and tagged, allowing companies to perform searches and find the right investors and partners who are a fit for the companies’ stage of development and product set. This means you have a very high percentage of meetings because the RESI investors know that the firm making the request is a fit for their investment mandate. Most companies who go to RESI partnering have 8-10 direct face-to-face meetings and usually a half dozen or so ad hoc meetings. Investors with vetted mandates. At LSN, we do our best to ensure that those who attend as investors are direct investors, not investment banks or broker-dealers, making sure. These global, cross-border, early-stage investors come to RESI. Seed, grants, angel, series A and series B level investors from all over the world use RESI conferences to source technology assets for their pipelines and portfolios. RESI has helped over 350 companies raise over $500mm in the last three years. Click here to see who has already signed up. My book, The Life Science Executive Fundraising Manifesto can help fundraising CEOs and scientist-entrepreneurs prepare for a fundraise and really help get ready for a RESI event. Here is a free PDF copy, feel free to distribute.